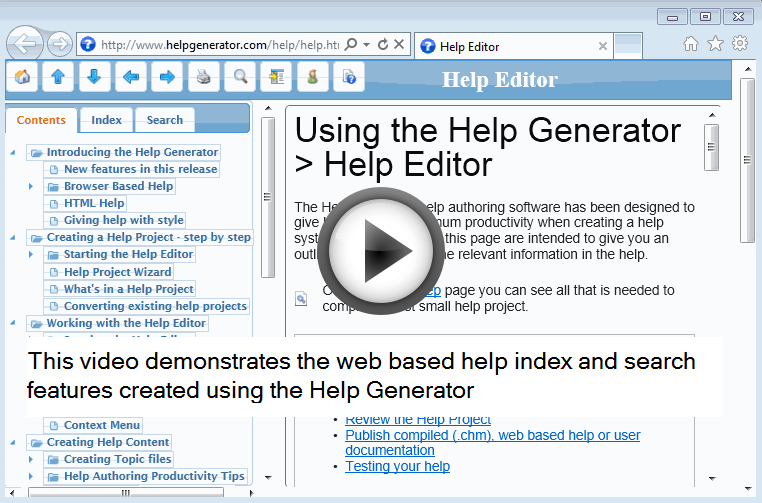 Our browser based help (or web based help) is functionally nearly equivalent to HTML Help. Compared with HTML Help a favorites tab is missing. You are free to add or replace the icons or give them an other use.